We’re deep into the summer season, and I bet that many of you are gearing up for a trip to some amazing destination. Woot woot! 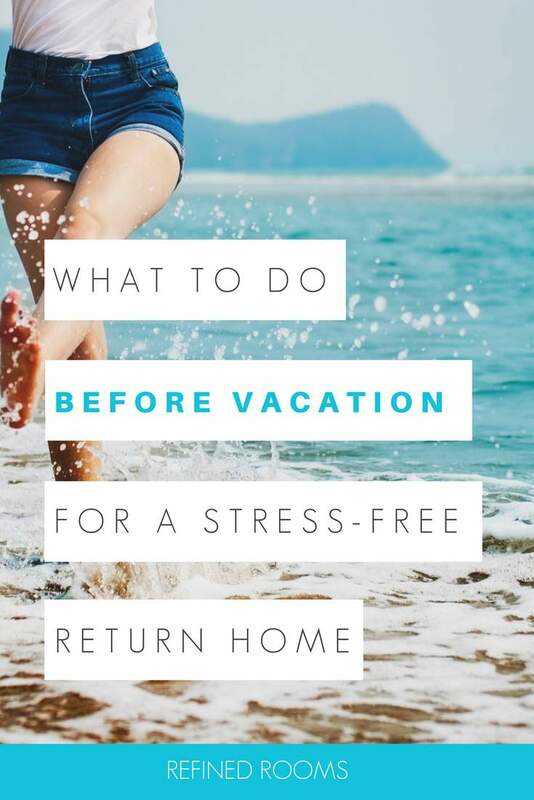 So today I thought I’d introduce you to my Pre-Vacation Checklist, my secret formula for avoiding a post-vacation meltdown when it’s time to return home from paradise! There was a time that I actually used to dread going on vacation, for fear of what awaited me back home when I returned. There was the chaotic mess I left behind in my home in the haste of packing for the trip, not to mention the piles of mail and overflowing email inbox to sort through. Let’s not forget the inevitable foul smell that would greet me as I walked through the door, which would take some detective work in order to figure out the source (trash can? fridge?). Anticipating the stress that I knew awaited me upon returning from a vacation would significantly impact my ability to enjoy the time off. Can you relate? Several years ago, I vowed to put a stop to this insanity by doing a little extra work on the front “Pre-Vacay” end. It requires carving out some additional time during the week prior to your departure, so the first step in the process is to really set limits on over-scheduling yourself that week. Once you are a week out from your departure date, implement this checklist to prevent that post-vacation meltdown. 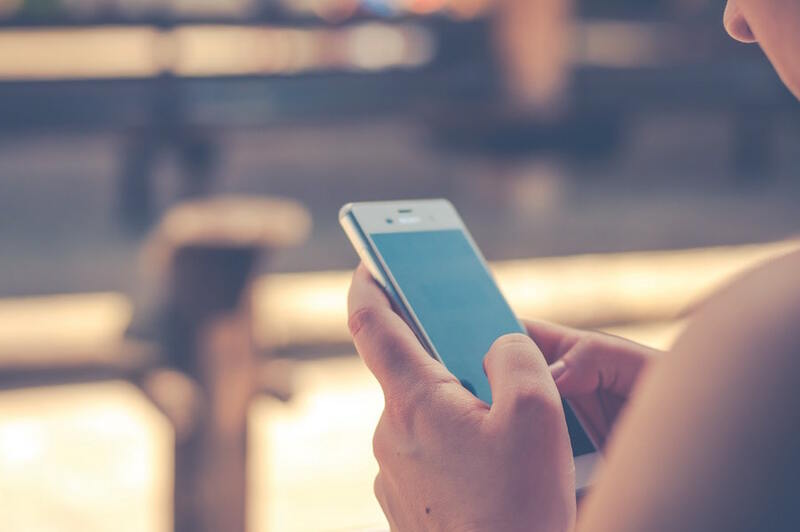 When you check out for several days, it may be difficult to retrieve your mental “running list” of pressing errands, home maintenance tasks, and work-related deadlines. 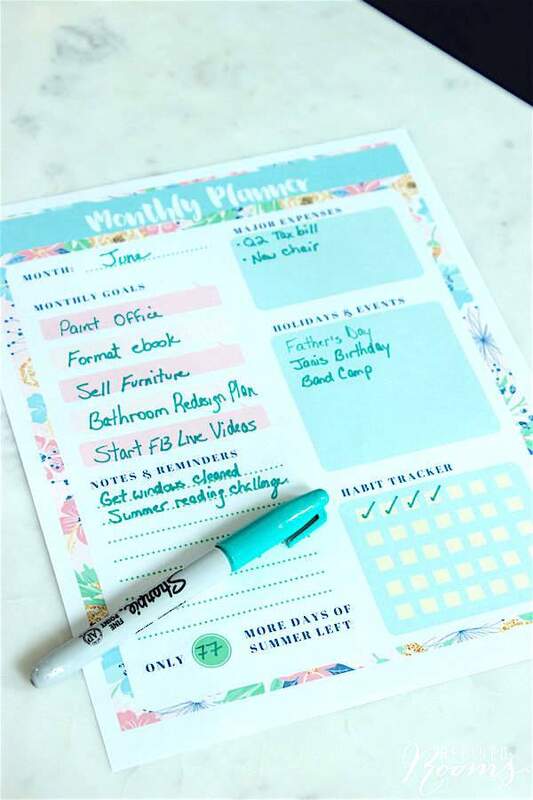 Plan for your return by first conducting a brain dump on paper (use one of my free summer-themed printable monthly planners, as featured in the photo above). Put this list front and center on your desk as a reminder upon your return. There is nothing more demoralizing than walking through your door post vacation to a sink full of dirty dishes, toothpaste-adorned bathroom sinks and cluttered surfaces. It makes you want to turn around and walk right back out again! Prior to your departure, allot the extra time to at least vacuum, clean the kitchen (including the fridge), empty all trash cans, clear the clutter, and load/run the dishwasher. 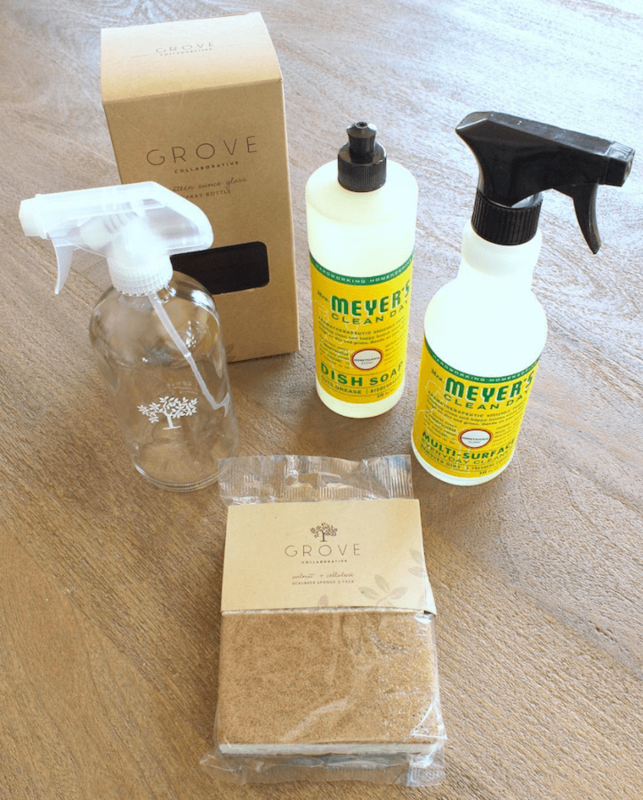 You need to have a clean and clear space to start unpacking when you return. 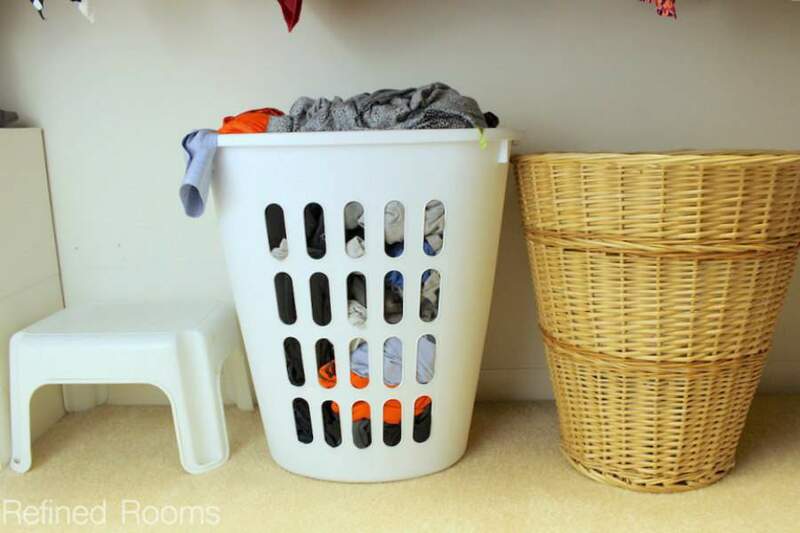 You will have plenty of laundry to do when you get home from vacation. If you get all or most of your laundry done before you leave (including the bedding), then all you will have to wash is what is in your suitcases. I don’t know about you, but I am always excited to sleep in my own bed upon returning home, and it is infinitely more pleasant when the sheets are freshly laundered. We’ve all experienced that Old Mother Hubbard Syndrome after vacation, since we probably didn’t set aside time for grocery shopping in the days prior to our departure. After traveling for hours in the car or by plane, likely the last thing you want to do after arriving home is to schlep out to the grocery store for the basic necessities. Shop for non-perishable staples before your trip, and put a list of perishable items to purchase on your Post Vacation Priority List. If you are lucky like me and have a close relative nearby who can stock your home with fresh bread/milk the day before your arrival, then enlist them to do so. 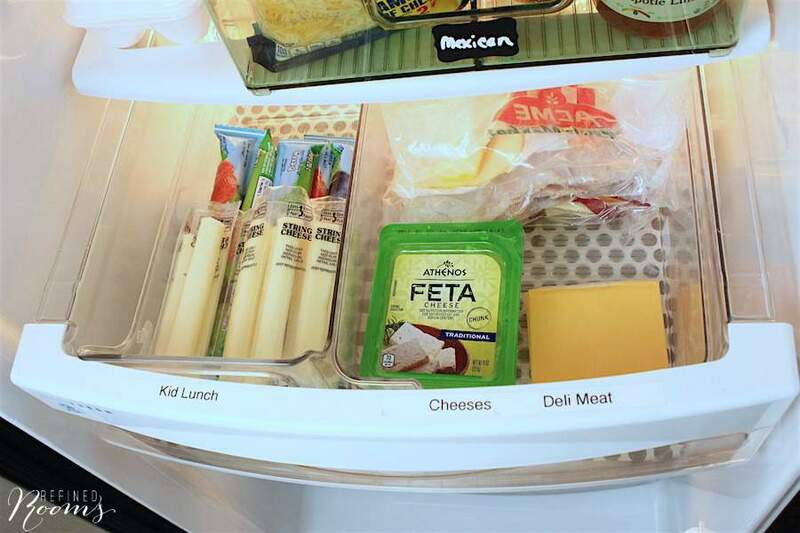 Otherwise, you can always have shelf-stable milk and frozen bread on hand to use for the first post-vacation day or two. This one is a matter of personal preference, and my preference is to manage incoming emails on a daily basis while on vacation. I used to unplug completely while away, and then be utterly overwhelmed with the task of wading through hundreds of emails upon return home. I much prefer keeping on top of it for a few minutes each day to avoid the massive Post Vacay email deluge. If you prefer to completely check out while away, plan to set aside a few hours of uninterrupted time within the first day back. Better yet, tackle it during the return trip if you can. Well, there you have it! I’m a big believer in the idea of putting in extra work up front so that you don’t have to lose that state of zen you worked so hard to cultivate on vacation immediately upon entering your home. What are your best tips for avoiding a post-vacation meltdown? I’d love to hear them! Great tips! I’m leaving this weekend for a couple of weeks and I always stress myself out ahead of the trip to get it all done so I don’t return to chaos. There is something about coming home to a clean house with some basics in fridge to help the vacation high last…a little! Visiting from Show + Tell party. Totally feel the same Victoria!! !